The Cheers Chalet staff made our wedding so stress and worry free. 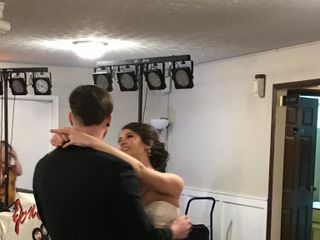 I had such a fun time at my wedding that I didn't even realize when it was time to leave. 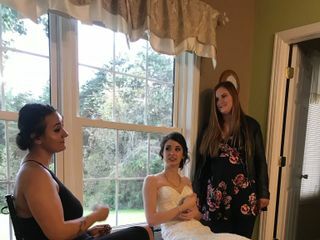 Jennie, my coordinator/hostess, and the other staff that were present at my wedding did such an amazing job setting up and organizing the ceremony and reception. The food was fantastic and my guests were complimenting it for days. The venue was perfect and beautiful. I cannot say enough about this venue or it's staff. 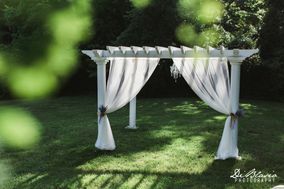 I would highly recommend considering them for your big day! As a parent and first daughter to get married I was extremely pleased with Cheers. They walked us through each step of the process with the end result being a beautiful wedding that our guests are still talking about. It was wonderful! Such a beautiful venue and Jennie and Lauren were great! We couldn’t have asked for a better experience for our wedding. Thank you all at Cheers! Everything was perfect, the staff was very helpful, and the decorations were beautiful! Excellent overall experience ! The food is fantastic, and the venue is beautiful and the staff is very helpful. From start to finish, there’s nothing else we could’ve asked for. Cheers, the venue, staff, and food were all outstanding! Thank you, it was such a pleasure to work and celebrate with Cheers! The whole staff at Cheers Chalet was so nice and helpful. They really made the wedding a special day. Cheers Chalet was a wonderful venue! Very accommodating, the staff was friendly and easy to work with. Perfect location for an indoor/outdoor wedding! The staff at Cheers was absolutely amazing! They made the day so relaxing for both my husband and I so that we could truly enjoy our daughter's wedding. The DJ that they generally use (Master Mix DJ) made the rooms breathtaking with the uplighting and was truly entertaining. I highly recommend his services (DJ, lighting, and photobooth) at Cheers. Misty's Cakery (Misty Conkle) does a lot of business at Cheers and the cake was the best cake I've ever tasted. Thank you for choosing Cheers Chalet Tamara! Jennie and I very much enjoyed working with you and Maya. Cheers did a wonderful job making sure everything was set up how we wanted it. They also made sure everything was on time and following as planned. They did a marvelous job and I couldn't ask for anything better. I had a great experience with Cheers right from the get go! 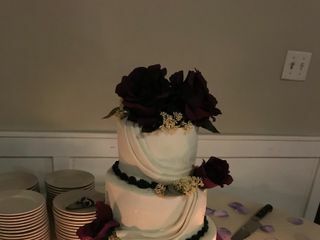 We had the opportunity to go visit the venue during an open house which allowed us to see how it would look completely decorated and to try the food ahead of time (which you can't find for free anywhere!). They had recommended vendors there as well which helped us in making our final selections! Caley K. was so helpful the weeks leading up to the wedding, making sure I didn't need anything else or need any additional help with vendors! The staff at the venue was so accommodating and willing to help out in any way possible! The food was fantastic (people are still raving about it) and the tables looked gorgeous!! Thank you all for your hard work and dedication! Jen and her team did an absolutely amazing job and made sure our day was perfect. All of my guest were so impressed with the quality of the food and the decor of the venue. Such a wonderful experience with Cheers. Amazing value! Cheers was just absolutely fantastic in making our day the best day ever. We were at the main Cheers Chalet. We might be biased but it was probably the best wedding of the century ;). They were so flexible with us in our decisions and worked closely with us to make sure our day was just perfect. They handled setup and cleanup, saving our friends and family lots of time. The venue itself is perfectly gorgeous. It's a little bit of garden party and a little bit of rustic; a perfect blend for what we were looking for. 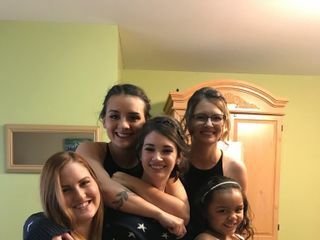 I loved that there was a little bridal suite hut to get ready for me and my girls! Cheer's catering was delicious. We had many comments on how tasty the food was. We had Southwestern chicken egg rolls that were the BEST. Taco bar was our main meal and for dessert we had make-your-own s'mores and some Buckeyes on the side. Everything was delicious and I wish I could have eaten more! Thank you for making our wedding the absolute best day ever!!! It was truly magical <3. Everyone was so wonderful to work with!!! Food was great, lemonade stand was a hit, and the venue was absolutely breathtaking (Lakeside). Highly, highly recommend!!! Jenny had everything on point and ensured we had plenty of drinks along with anything else we needed . I loved this place. I would recommend it to anyone! Great venue(: everyone is very professional and they will make your day happen!! Cheers gave us a wonderful wedding. Great service, great food. Highly recommended! They made everything so easy! We didn't have to do any set up or tear down. And the coordinator kept things moving forward wonderfully. 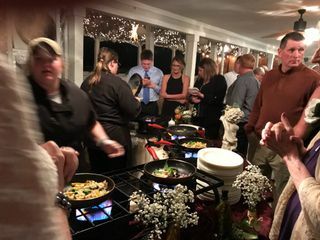 Recently, Cheers catered our daughter's wedding at an off-site location. The delicious food was served buffet style with a beautiful presentation. We noticed the server carving the ham pleasantly conversing with the guests as the went through the line. Carol hired only two local servers and one bartender for the evening and they performed the duties effortlessly, having never previously worked with Carol and Gary. Prior to the event, Carol went over every detail and prepared a timeline for the wedding. She presented different ideas and made suggestions to my daughter that were incorporated that evening. The forethought put into the additional details and added touches made the wedding all the more special. As the Mother-of-the-Bride, I couldn't be more pleased as I listened to the lovely complements from our guests! We highly recommend Cheers for their professionalism, experience, and quality service. 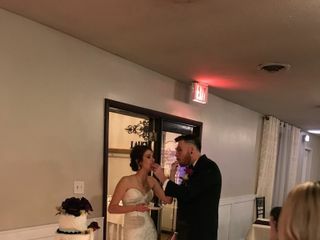 It's true what they say about you're wedding day - you barely have time to even eat. 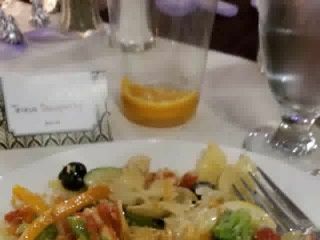 Thankfully, between dancing and greeting guests I was able to have a couple bites of my dinner catered by Cheers Chalet and it was delicious! They provided a ton of different options to my guests, and the staff was incredibly accommodating. They even went above and beyond and packed up my wedding cake so I could take it home and save a slice for our memories. In all the bustle I had forgotten to do so and they managed to save the day. The best part is that they required no supervision from me, which was a dream since I felt incredible frazzled that day and it was one less thing I had to worry about. I couldn't thank Cheers Chalet enough for what they did for me on my wedding day, the entire process from start to finish was a breeze, and arguably the LEAST stressful part of planning a wedding, considering how large of a component the food is. I would hire them again in a heartbeat. Thank you Cheer Chalet for everything you did for us, you are truly miracle workers and my wedding would not have been amazing without your help.